Technology & Internet Agreements. Download peace of mind. 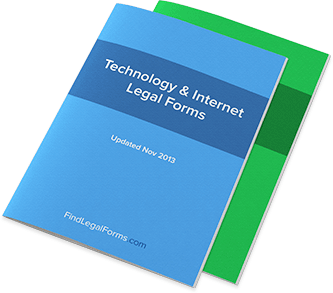 In many cases, the use of the term “Technology” in legal documents refers to agreements, contracts, and other legal forms written to be used to facilitate Internet and Computer related interests. Broadly speaking, Technology agreements are divided up into two types. Contracts written for agreements surrounding Internet work, include. The nature of today’s Web-based technology often requires forms such as these to provide the legal grounding for services and agreements that are otherwise difficult to log and verify. Domain Name Assignment Document for use when assigning an Internet domain name from the original owner to another. Software Development Agreement Contract between a software developer and a customer for the purpose of developing new software. Website Affiliate Agreements This agreement sets forth the terms in which one website becomes an affiliate of another. Software Maintenance Agreement Designed for use by a software licensor and a licensee regarding the maintenance and support of the software. Mirror Site Hosting Agreement Agreement between a hosting company and a website owner to host the owner's mirror website. Online Advertising Agreements Agreement between a website owner and a client to sell the client's products on the owner's website. Website Affiliate Agreement Amendment This legal form will effectively amend an existing Website Affiliate Agreement. Website Hosting Agreement An agreement between a business owner and a entity that will operate and administer the host server for the business's website. Internet Forms Combo Packages Get 11 forms for just $39.95. Save 78%! This Package contains forms related to doing business on the Internet together in one convenient package. Software Combo Packages Get 4 forms for just $39.95. Save 50%! Useful forms regarding the development, licensing and maintenance of software.